TOKYO • Confidence among Japanese manufacturers tumbled to a three-year low in May and is seen recovering only modestly in the next three months, a Reuters poll found, in a sign the yen's rise is taking its toll on exporters of cars and electronics. The Reuters Tankan, which tracks the Bank of Japan's quarterly Tankan survey, found that the service sector's mood also fell this month, reflecting weak domestic demand despite the central bank's aggressive monetary stimulus. The monthly poll of 510 big and mid-sized firms between May 9 and May 23, of which 250 responded, comes after data out last Monday showed sharp falls in exports and manufacturing activity, piling pressure on policymakers to do more to spur flagging growth. The Reuters Tankan sentiment index for manufacturers fell to 2 this month from 10 last month, dragged down by key industries exporting cars, electronics and precision machinery. It is seen bouncing to 5 in August. The service-sector index fell to 19 from 23 last month and is seen slipping further to 18 in August, weighed down by retailers worrying that a stronger yen may dampen spending by Chinese and other foreign tourists. 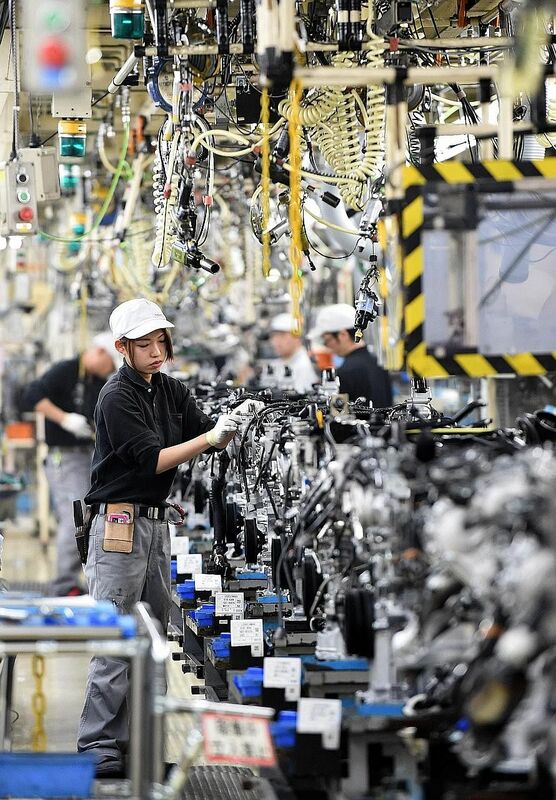 Carmakers also suffered from the effects of last month's earthquakes that crippled supply chains in Japan's southern manufacturing hub of Kumamoto, while a mileage-cheating scandal at a carmaker curbed orders at factories, the poll found. Mitsubishi Motors admitted last month it overstated the fuel economy of at least four of its models - mini-cars sold in Japan, including two sold under Nissan's badge.